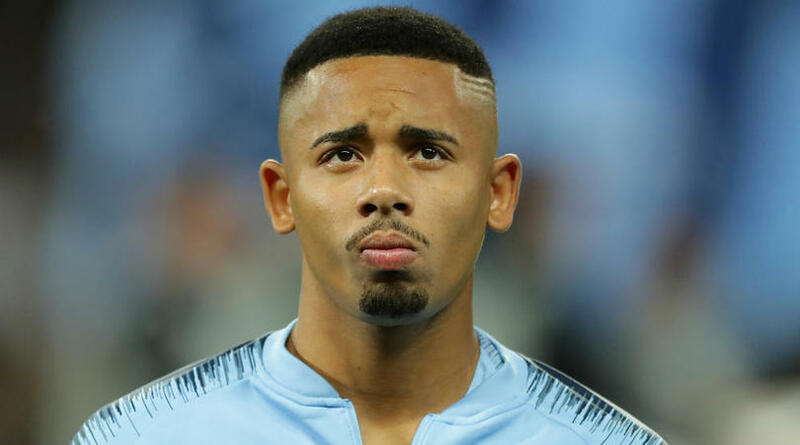 Manchester City forward Gabriel Jesus said he was not happy with Pep Guardiola after the manager denied him the chance to take the late penalty against Liverpool. City manager Guardiola prevented Jesus from taking the 86th-minute spot-kick, instead opting for club-record signing Riyad Mahrez, who fired his effort over the bar as the champions drew 0-0 at Anfield on Sunday. Guardiola apologised to Jesus afterwards and the 21-year-old Brazil international insisted he felt confident he could take the penalty. ‘Obviously, I’m not that happy,’ he told reporters. ‘As Riyad, I’ve been practicing [penalties]. ‘I would like to have taken it. I was confident, so I was not happy that they did not allow me. However, it was important that we didn’t lose. Pep spoke with me. Jesus has struggled for form since the World Cup, having scored just once in the Premier League this season – against Huddersfield Town in August and has found his playing time restricted by the scintillating form of teammate Sergio Aguero.